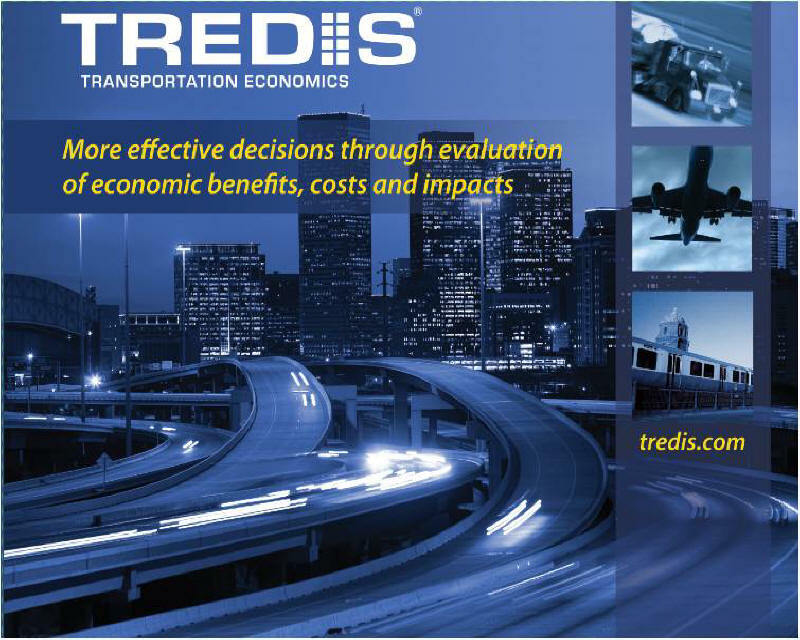 TREDIS® is the transportation economics suite – a unique decision support system for transportation planners that spans economic impact analysis, benefit-cost analysis, and financial analysis, as well as freight and trade impact analysis. It is the only system applicable for all modes – covering passenger and freight transport via aviation, marine and rail modes, as well as truck, car, bus, bicycle, and pedestrian travel. In today’s world, the interactions among modes can be important considerations affecting transportation plans and economic impacts. TREDIS 5 adds dramatic new visualization and analysis capabilities. The system enables transportation planners and policy analysts to quickly conduct analysis and obtain understandable results. It is widely recognized for its high level of documentation, which is backed by published research, and its transparency, allowing users to trace the calculation of results. TREDIS is complete. It can be used to assess impacts and benefits of capital investments, operations, maintenance, and financing for all transportation modes and types of projects. It can show local and regional impacts in terms of changes in costs, productivity, employment and economic growth, as well as benefits associated with energy use and environmental effects. TREDIS incorporates wider economic benefits into transportation evaluation. Its integrated framework ensures a consistent and accurate accounting of impacts that can be viewed from the perspectives of different stakeholders, study areas, time periods and modes. This enables unique insights into the nature of project benefits, and it helps tell a believable story to stakeholder audiences. As an internet cloud-based system, TREDIS enables simultaneous use by multiple agencies and staff members, evaluating multiple projects with study areas and time periods that can be redefined by users as needed. It also enables state, regional and local agencies to partner, share data, and ensure consistency in their work. Finally, TREDIS employs a dynamic economic simulation to estimate short-term and long-term impacts with sensitivity to factors that can be affected by transportation – such as changes in rural accessibility, urban congestion, intermodal connectivity and reliability, as well as changes in costs, speeds, and traffic volumes. TREDIS also uses new GIS and economic geography tools to account for effects on labor and delivery market areas.